TravStar1 Point Of Sale SystemCashier Training Fuel FunctionsHow do I Move a Prepay on a Dispenser that was Accidentally Prepaid to the Wrong Pump? How do I Move a Prepay on a Dispenser that was Accidentally Prepaid to the Wrong Pump? 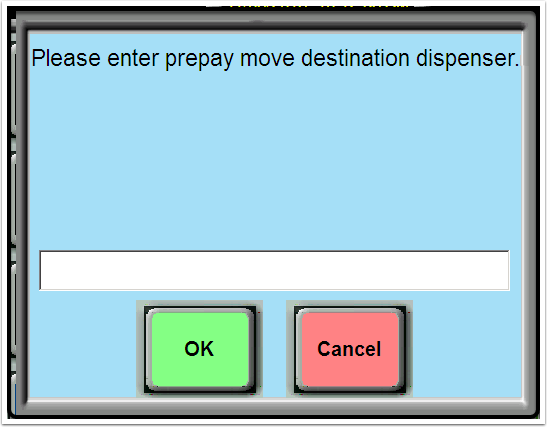 Register will then display a window where you will enter the dispenser number the Prepay needs to be moved to. Enter the dispenser number then click OK.
Prev: How Do I Reprint an Outside Credit Card Transaction?